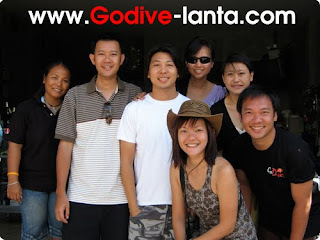 Congratulations for New Diver "Simon"
We got 2 people become a new diver and 3 people become a Advanced diver from Malaysia doing the course with Go Dive Lanta. 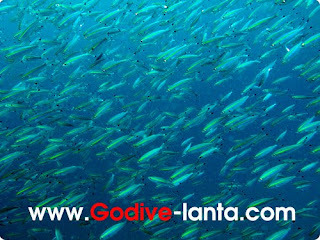 Thank you very much for take Open Water Diver Course + Advanced Open Water Diver and also make fun dive many day with Go Dive Lanta. Congratulations for New Advanced Open Water Diver "Aryan"
Aryan finish Advanced Open Water Diver Course with Instructor OH. 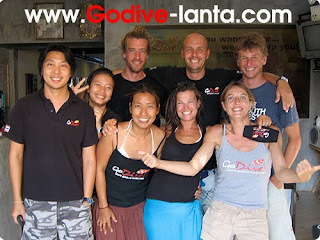 Congratulation for new 3 Scandinavian divers. 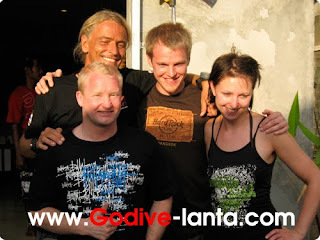 Congratulation for 3 new scandinavian divers. 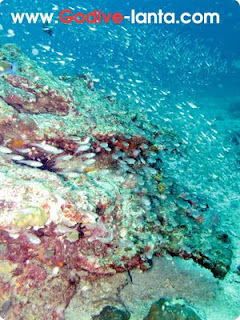 Hope to see you on Koh Lanta again. 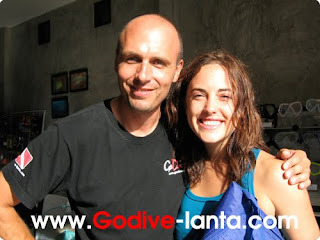 Congratulations for New Diver "Hannah and Fredrik"
Congratulations for New Diver "Jens"
Thank you very much for take Open Water diver course with us. 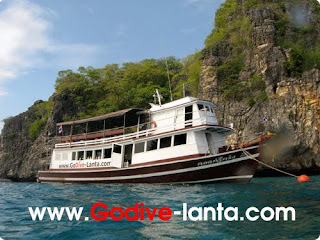 This season "Instructor Mam" who took Divemaster course together on the dive shop in Bangkok come to visit us on Koh Lanta and diving with us. 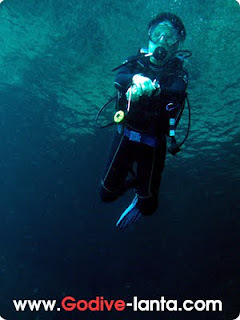 Nice to see friend come back and diving with us again and again. 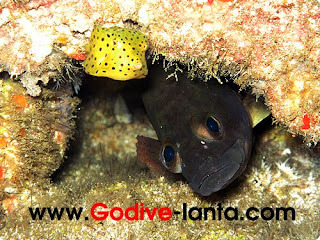 two fish in same hole. 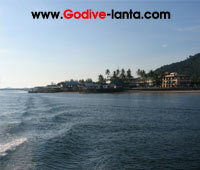 Go Dive Boat modify for this season more comfortable. Have you ever seen Koh Haa this view? 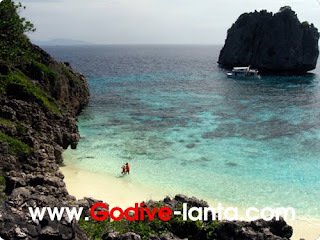 We love Koh Haa because every time when we have been there is always nice. 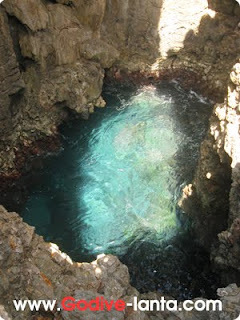 This season we found the secret place on Koh Haa 3 by "Tid" our boat manager. 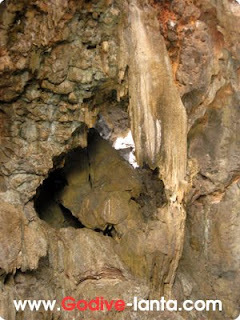 Koh Ha 3 from top view. 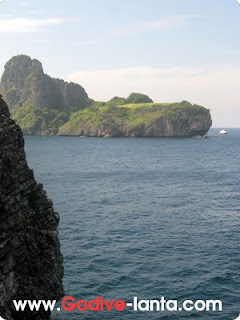 Tid on top hill Koh Ha 3 you can see Koh Ha Yai also. 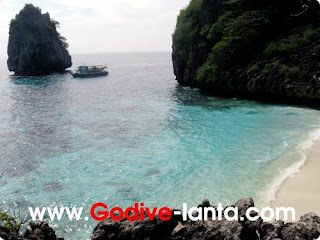 Koh Haa no. 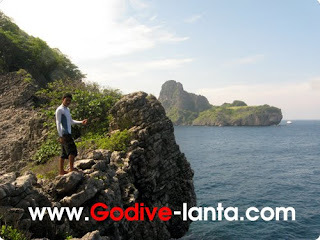 6 good place to see whale shark if you very lucky. 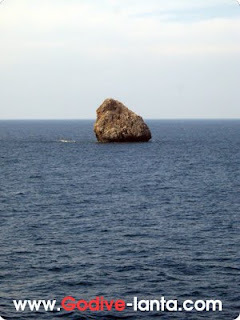 If you like to know how we make dive briefing on the boat, please follow us. 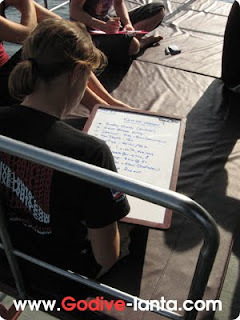 Divemaster Delphine is writing the board for dive briefing. 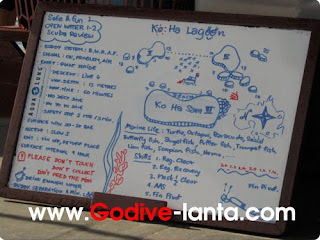 Dive briefing board made by Instructor Oh. After tried for working. 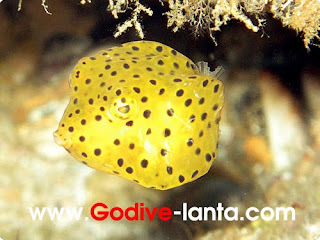 Now i am back to writing for Go Dive Blog again. 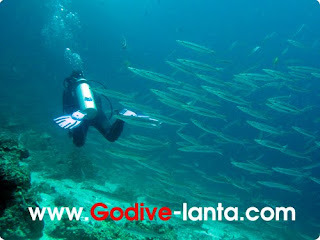 You will see more update picture and more story about Go Dive Lanta.